DC 11 (Adrenacort), an adrenal gland extract, helps support the stress glands. It is especially useful in cases of Syndrome S or adrenal fatigue. Adrenal gland extract (cortex): 400 mg from an Argentinean source. Produced under the supervision of Argentina's National Animal Health and Agri-food Quality Service (SENASA). Glandular extracts have long been used to support fragile or fatigued glands. DC 11 is an extract from the adrenal glands of pigs in Argentina. It is produced under the supervision of Argentina's National Animal Health and Agri-food Quality Service (SENASA), which provides quality assurance. 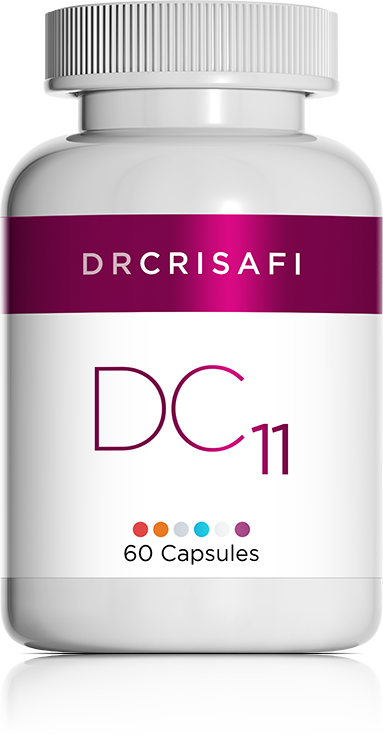 The extract used in DC 11 is free of adrenal hormones, thus eliminating the risk of action or interaction with natural hormones. However, studies show that the extract helps support the adrenal glands by providing them with the nutritional elements that meet their specific needs. Helps support the adrenal glands, which are the stress glands. Inflammations that are aggravated by stress. Do not take during pregnancy unless advised to do so by a health professional. Not to be taken by individuals under 16.